It’s yet another fantastic smartphone from Samsung, but it’s not especially exciting. The new features Samsung announced at Mobile World Congress in Barcelona felt like the mundane “waterskiing squirrel” story of a news station that has no news to report. 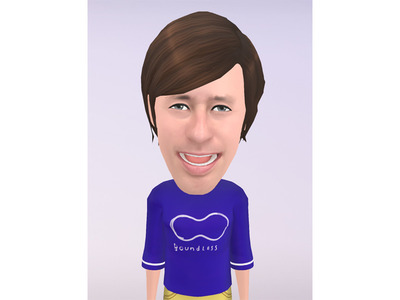 AR Emoji? Waterskiing squirrel. Variable-aperture camera? Double-backflip waterskiing squirrel. Still, Samsung made some improvements where it counts, and the S9 is a better phone than its predecessor, the Galaxy S8. Samsung keeps reminding us that it listens to its customers, and that shows in the Galaxy S9. 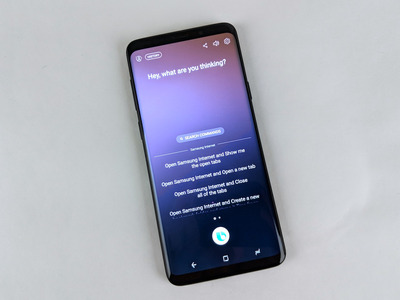 But Samsung is also stubborn with certain things like the Bixby button, which is still, unfortunately, present on the Galaxy S9. You’ve seen the design before, but it’s still a beautiful phone. 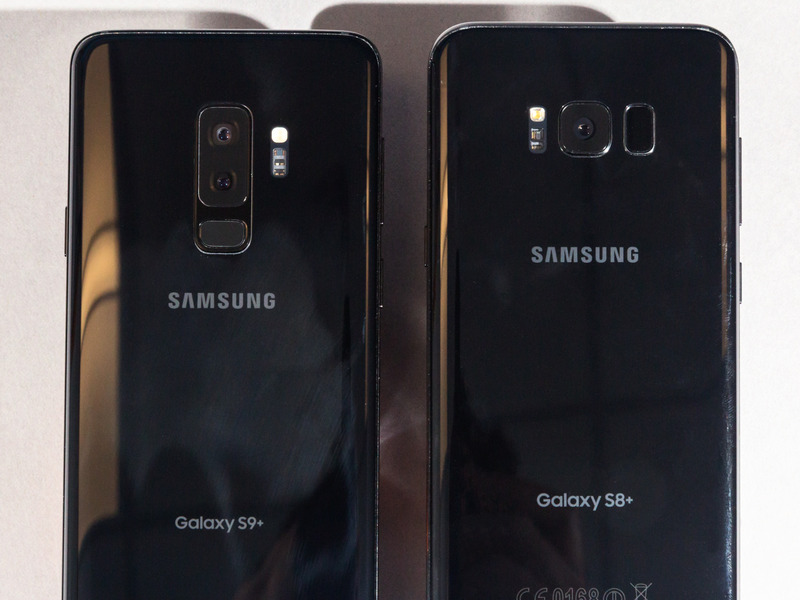 The Galaxy S9 shares most of its design with last year’s Galaxy S8, and that’s a great thing. The Galaxy S9 is just as pretty, if not prettier. 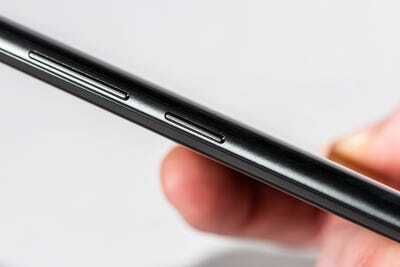 You get the sleek, curved-glass edges on the front and back, while the phone feels solid to hold and use. 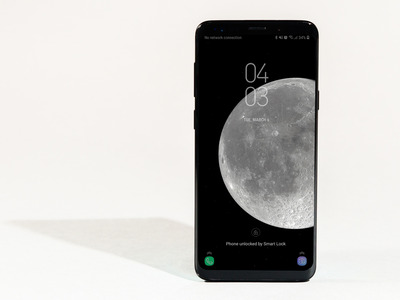 Samsung also narrowed the bezels on the top and bottom of the display ever so slightly compared with the Galaxy S8, and the Galaxy S9 looks even better for it when the screen is on. Despite the bezels, the Galaxy S9 looks every bit as sleek and modern as the bezel-less iPhone X. It’s one of the best-looking smartphones you can buy. The S9, the most feature-packed smartphone you can buy, is likely to have what you’re looking for. 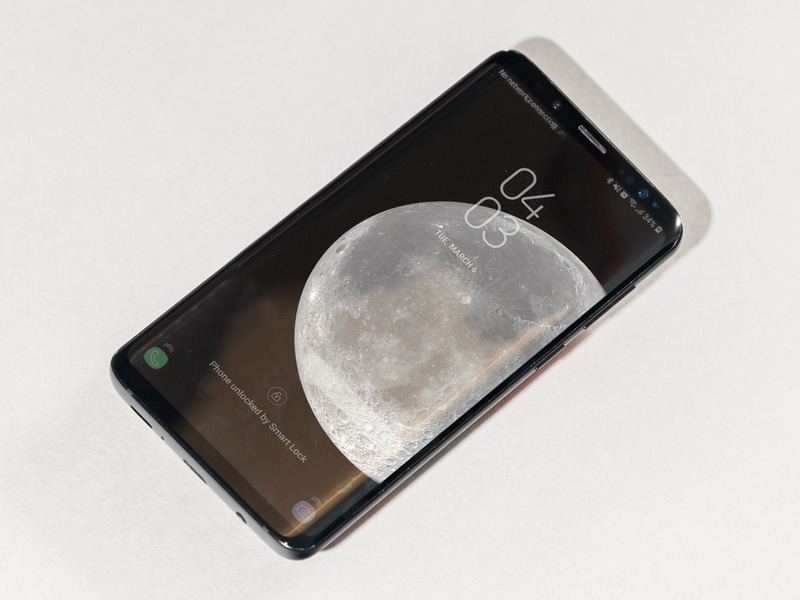 If there’s something you want that the Galaxy S9 doesn’t have, I’d love to hear it. It’s just about the most feature-packed smartphone you can buy at the moment. That’s a longer list of hardware than most other smartphones on the market these days. The Galaxy S9’s facial and iris recognition are better than Face ID on the iPhone X.
I was pleasantly surprised to find that the Galaxy S9’s facial and iris recognition offered a much better experience than the iPhone X’s Face ID. In the week I used the Galaxy S9, I never had to use my PIN to unlock the phone. Meanwhile, I consistently had to use it to unlock the iPhone X when Face ID didn’t work, and it failed far too often for my liking. Most of the time, I used Samsung’s Intelligent Scan feature, which combines facial and iris recognition to unlock the phone. It works surprisingly well – and quickly. And when that didn’t work – which was rare – I simply used the fingerprint sensor on the back, which is also accurate and fast. Samsung fixed the fingerprint-sensor placement. 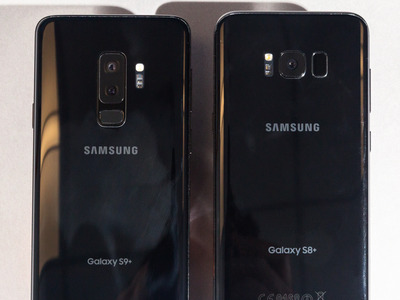 Hollis Johnson/Business InsiderThe Galaxy S9 and the Galaxy S8. 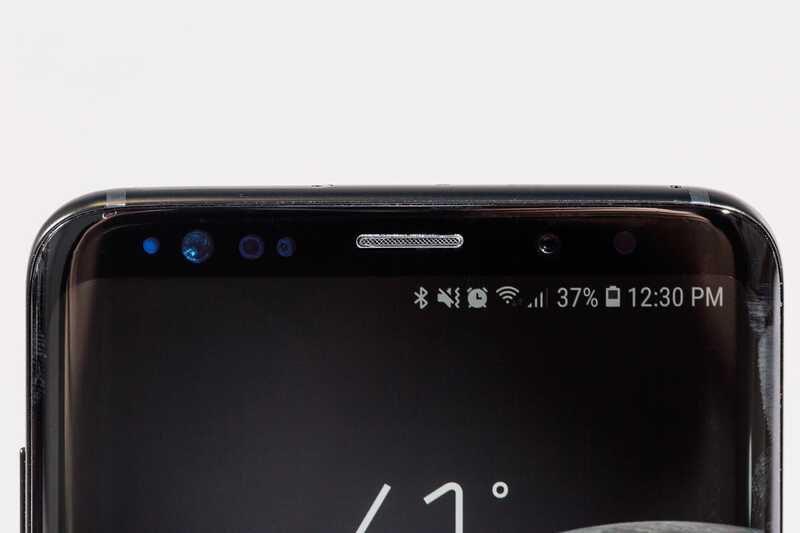 The fingerprint scanner is below the camera on the S9 and to the right of it on the S8. One of the major complaints with the Galaxy S8 was the poor placement of the fingerprint sensor: right next to the camera. It was hard to reach and hard to tell apart from the camera, which made unlocking the Galaxy S8 a frustrating experience if you opted for fingerprint unlocking. But Samsung fixed that with the Galaxy S9. The fingerprint scanner under the camera is much easier to reach, and I can find it far more easily than I could the sensor on the Galaxy S8. The Galaxy S9’s fingerprint sensor is fast, but not as fast as the Pixel 2’s. Still, it’s good enough that I wasn’t clamoring for the Pixel 2 XL I’ve been using. 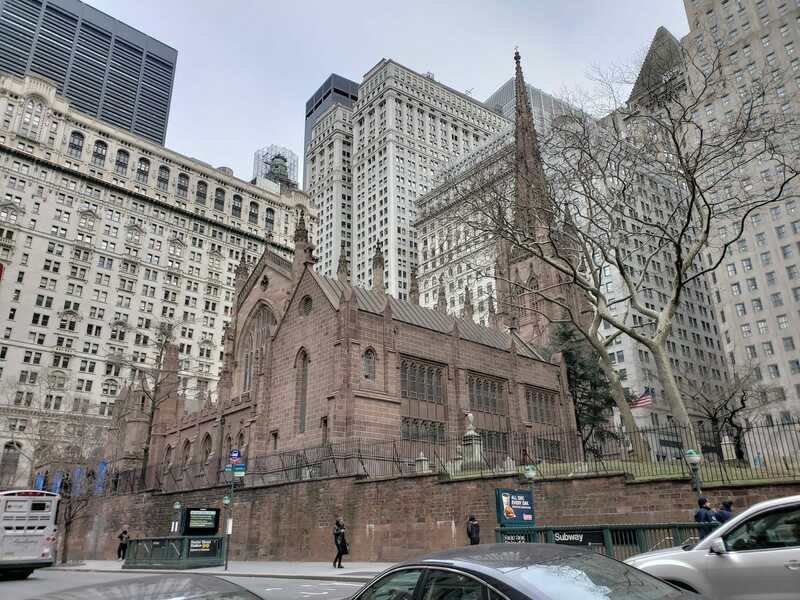 Photos I’ve taken with the Galaxy S9 so far have looked fantastic, but I’ll need to compare it with other top smartphone cameras, like the Pixel 2 and the iPhone X. The Galaxy S9’s camera performance in low light is absurdly good. For darker situations, the Galaxy S9’s aperture can switch to an incredibly wide f/1.5 (the lower the number, the wider the aperture, meaning more light can get in). And the benefits of having such a wide aperture in low-light situations are pretty clear in the photos above. The Galaxy S9 can capture a much clearer, sharper, and brighter photo in a dark scene than the Pixel 2 XL and its f/1.8 aperture can. There isn’t much of a difference between the Galaxy S9’s two camera-aperture modes, but that doesn’t matter. Samsung says it added the narrower f/2.4 aperture to the Galaxy S9 for well-lit situations that could be too bright for the ultrawide f/1.5 aperture. When an aperture is too wide and lets too much light into the camera’s sensor, it can lead to overly bright photos with spots void of detail. But I found that the opposite happened. 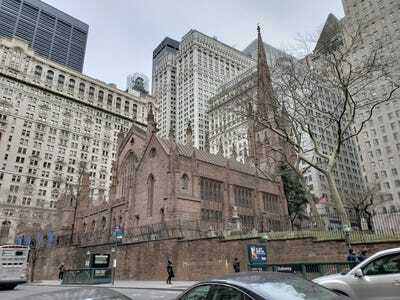 The wide-aperture photo below is darker than the narrow-aperture one. Plus, the narrow photo has more overly bright spots than the wide one – something you can see in the snow left of center. If I were to buy the Galaxy S9, I’d use the camera’s pro mode and set it to the wider aperture. It seems to handle ultrabright spots, like that snow, better than the narrower one. At the end of the day, you’re not paying a premium for the extra aperture mode, so it’s not a big deal that the Galaxy S9 has this feature. You can keep the camera in auto and let it do what it thinks is best, and you’ll be fine. Only the Galaxy S9 Plus has a dual-lens camera, but you’re just missing out on better zoom. The smaller Galaxy S9 comes with a single-lens camera. The Galaxy S9 Plus has a dual-lens system. The S9 Plus’ secondary lens is a 2x optical zoom lens that lets you zoom into objects without sacrificing picture quality. Doing that with digital zoom, as you would with the S9, usually leads to loss of detail and clarity. I don’t normally comment on smartphone speakers, but the Galaxy S9’s are some of the best I’ve heard. Smartphone speakers are often overlooked, mostly because they never really sound great. But that’s different with the Galaxy S9. Samsung added a second loudspeaker in the Galaxy S9’s earpiece for stereo sound. The sound is rich, full, and clear – at least for smartphone speakers. It’s not as loud as the Razer Phone’s enormous loudspeakers, but it sounds a little better, which is great for phone calls and watching videos. It opens and runs apps as quickly as you’d expect on any top-tier Android smartphone. The experience of opening and using apps on the Galaxy S9 is pretty much the same as it has been for every new top-end phone you buy: It’s fast. Battery life on the Galaxy S9 doesn’t amaze, but it’s in line with other top smartphones. The Galaxy S9 has a 3,000-mAh battery (that I haven’t tested), and the S9 Plus has a 3,500-mAh one. Based on my brief experience with the phone, it has average battery life compared with other top-tier smartphones. But there’s no telling how well the battery will hold up over time yet, as I’ve had the phone for only a week. Samsung’s homegrown smart voice assistant, Bixby, is young and sure to get better over time. But if you’ve been using Google Assistant, there is no good reason to switch to Bixby. If you want to start using a smart assistant, Google Assistant is also your best bet. It simply works and does so much more than Bixby, and you don’t have to wait for it to get better. The good part is that you can ignore Bixby and set up Google Assistant, which comes with the Galaxy S9 in the Google app. … and the dedicated Bixby button. A button under the volume switch pulls up Bixby Home, the visual part of Bixby, and I wish it weren’t there. It would be better if Bixby Home were useful, but that’s not the case. I’ve linked Bixby Home with my Facebook, Twitter, and Google accounts, but it struggles to show me content relevant to my interests. Otherwise, it shows you weather information, your agenda for the day, frequently used apps, and news from Flipboard. That stuff can be useful, but Google Now shows me content I’m interested in and does those things too. The button shouldn’t even exist. Even if it were useful, pressing it by mistake happened so often during my week with the Galaxy S9 and interrupted what I was doing so often that I actively resent it. It’s an obstacle I tried to avoid while handling the phone on a daily basis. I wouldn’t even change the button to open Google Now if I could. Funny enough, I used my voice to tell Bixby to turn off the Bixby button. Now I have a nonfunctional button on the side of the phone. AR Emoji is hardly worth a mention. ScreenshotI’m meant to be smiling here … but I feel bad for the pain my AR Emoji is feeling right now. I’ve already spent too much time talking about AR Emoji. It’s not a selling point for this phone. I don’t use these kinds of features at all – but even if I did, I wouldn’t use AR Emoji. It makes me look angry or sad no matter how much I’m smiling. My AR Emoji looks as if he’s been kidnapped and is screaming for help. Thankfully, I can completely ignore this feature, and so can you. As soon as Google releases a new version of Android, I’ll feel as if the Galaxy S9 is outdated. But that’s not the case for everyone. Samsung and other smartphone makers are painfully slow at updating their phones with the latest version of Android. In fact, the Galaxy S9 ships with Android 8.0, whereas the Google Pixel 2 XL I’ve been using is running on Android 8.1. That doesn’t bother a lot of people, but it bothers me. I always have a nagging feeling when I can’t update a phone to the latest version of its operating system. To be clear, this is a purely subjective gripe. Samsung’s slow Android updates don’t usually affect its phones’ performance, so if you don’t care about getting the latest version of Android, carry on. 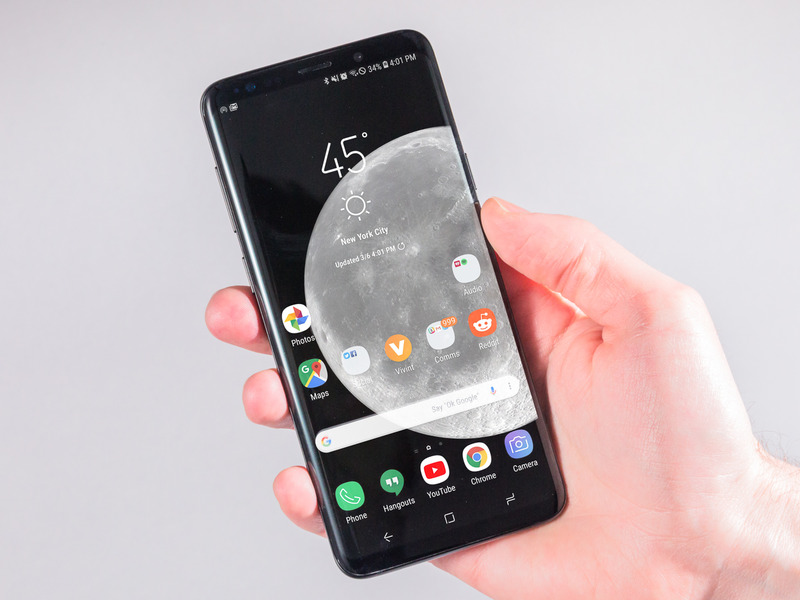 In Samsung’s favour, Galaxy phones come with features that Google hasn’t even adopted, several of which eventually make their way to Google’s pure version of Android. Samsung also frequently issues security updates and pretty decently supports older phones – the Galaxy S6 from 2015 is still getting the updates. Still, I just like to have the latest version of a device’s operating system, especially when it’s made by one of the biggest and most prolific software companies in the world: Google. And I never really miss the features from Samsung phones when I start using a Google phone with fewer features. For example, I’ll go back to using the Pixel 2 XL after I’m done with the Galaxy S9 and won’t miss the facial/iris recognition or the wireless charging. 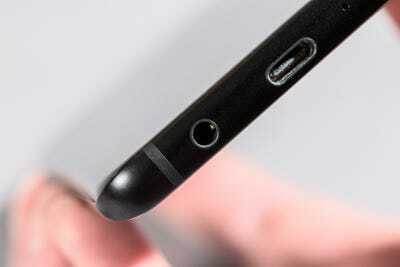 That said, I will miss the Galaxy S9’s headphone jack, which is, unfortunately, absent in Google’s Pixel 2 phones. Overall, the Galaxy S9 feels like the phone Samsung really meant to build when it made the Galaxy S8 – and the S8 was already one of the best Android smartphones you could buy. Despite the improvements, Galaxy S8 owners don’t have much of a need to upgrade to the Galaxy S9. 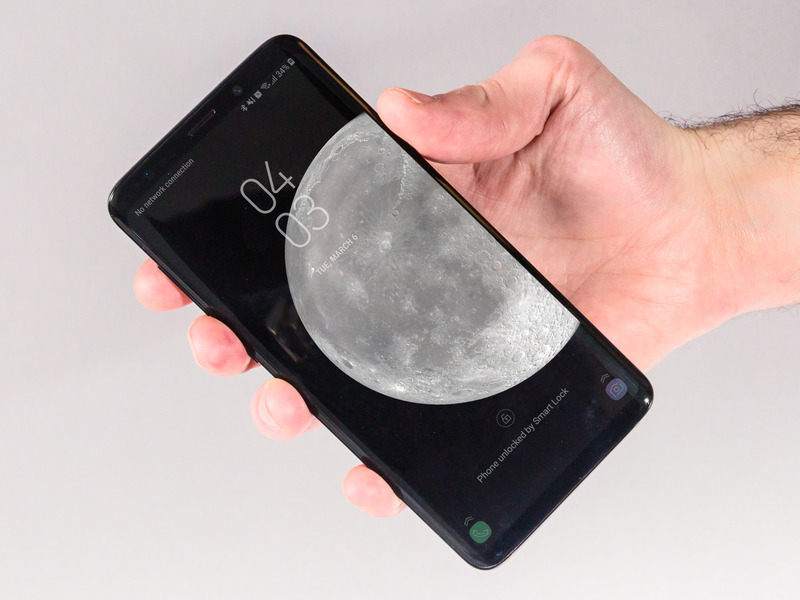 You won’t be missing out on much unless you want the zoom lens of the Galaxy S9 Plus, or if unlocking the Galaxy S8 with its inferior fingerprint sensor and facial and iris recognition is a daily frustration. 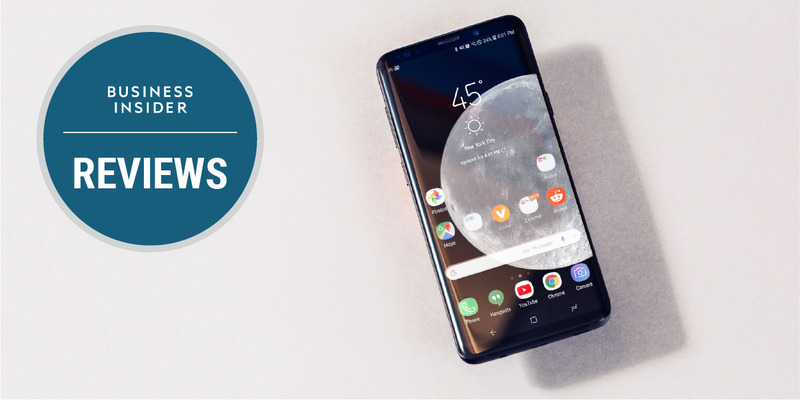 If you’re looking for a phone with no compromise in features and quality, the Galaxy S9 is the phone for you. It has more features than any other phone and takes fantastic photos, and Samsung is selling it for under $A1,200. Starting at $A1,199, the Galaxy S9 can almost be considered a bargain compared with the $A1,579 iPhone X. The Galaxy S9 is an easy recommendation for pretty much anyone, but there are excellent Android phones that cost even less. They’re not as feature-packed as the Galaxy S9, nor are their cameras quite as good, but you won’t mind when you’re saving at least $A400 on a premium Android smartphone. Plus, you can buy others phones which run a nearly pure version of Google’s Android, which I prefer over the “Samsung Experience” layer running on top of Android on the Galaxy S9.